To read more about the Kurdistan Region Presidency and the Kurdistan Parliament, please see this fact sheet. After the collapse of the Ba’ath regime in 2003, we decided to participate in the building of a democratic federal Iraq, where our rights and freedoms would be protected by a constitution. But we now have a lot of reasons to ask whether this system can serve our interests or not. The KRG plans to establish a united front to negotiate with the federal government – a High Council of Negotiations with Baghdad. 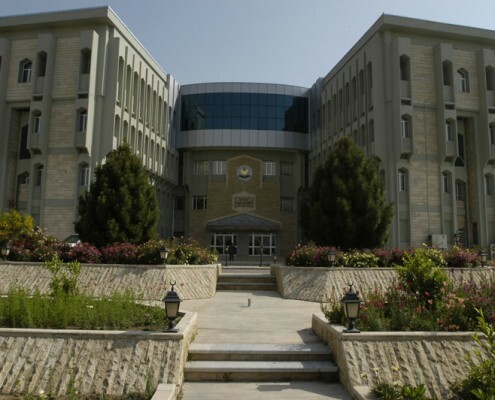 The KRG will ask the Kurdistan Region’s political parties, both those in government and the opposition, to join the Council so that a consensus is built in order for negotiations with the Federal Government to start again. This is an issue that is relevant to all the people of Kurdistan, and we have a historical responsibility to address it. The seventh cabinet will issue a number of new decrees regarding its coming activities. Some will be the government’s duties to carry out, but others will be the responsibility of individuals, groups and civil society organizations, and these will require joint efforts to be implemented. We will also work with the KRG Ministry of Finance to find a mechanism to better support the Region’s pensioners and to review and eliminate the gaps in their salaries. We will work to encourage a sense of citizenship and to make every individual proud of his nation and his country’s interests. We will pay more attention to protection of the environment and to preserving the Region’s natural wealth as well. The Environment Board must work harder to support environmental protection efforts so that the preservation of Kurdistan’s environment will be in line with world standards. In order to better understand each other and maintain the culture of peaceful coexistence that we have achieved, we must rely on a national dialogue to discuss current social issues. We must use dialogue to build a unified voice on the protecting the future of our society and preserving our culture. We must try to protect our society’s valuable traditions and national history from the misuse of technology and from misinterpreting new ideas and concepts. Like any democratic government, we will work hard to meet the needs and help to realize the dreams of our people. And of course we should not expect that our government’s decisions will be approved by all parties. The approval of the majority in the Parliament is one of the principles of parliamentary democracy the world over. Open and free dialogue in parliament is also a sign of adhering to the principles of democratic governance.